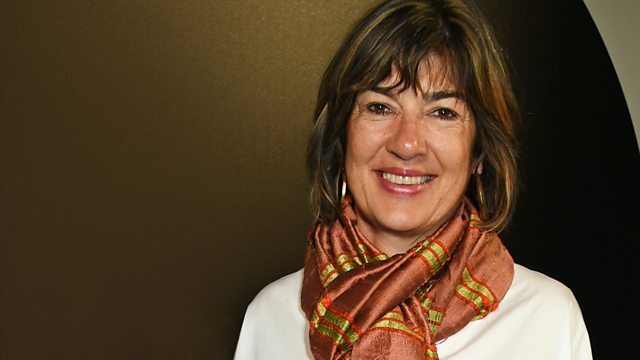 Christiane Amanpour, journalist and broadcaster, is interviewed by Kirsty Young for Desert Island Discs. Kirsty Young's castaway is the journalist and broadcaster Christiane Amanpour. Her career as a reporter was forged in some of the world's most hostile environments from Bosnia to Rwanda and Iraq to Israel. From the early '90s onwards she was so ubiquitous on screen that her peers in the press pack coined the darkly comic phrase "where there's a war, there's Amanpour." Born to an Iranian father and a British mother, she initially wanted to be a doctor, but the Revolution in Iran in 1979 galvanised her political consciousness and she turned to journalism. Her first major assignment was in Saudi Arabia where she covered the 1990 invasion of Kuwait. She describes her time in Bosnia as a life-changing experience which made her determined to tell the stories of ordinary people caught up in the chaos of conflict. During her career she has interviewed some of the biggest names on the world stage from Bill Clinton and Tony Blair to Robert Mugabe and Colonel Gaddafi. The winner of 11 Emmy Awards, she now anchors her own nightly television show on CNN although she can be whisked away at a moment's notice to cover major disasters around the globe. She has borne witness to some of history's worst atrocities but what gets her through is her eternal optimism and the courage and dignity of humanity. Performer: The English Concert. Conductor: Trevor Pinnock. Performer: Vienna Boys' Choir. Performer: Vienna Symphonic Orchestra Project. Performer: Plácido Domingo. Conductor: Helmuth Froschauer. A collection of Desert Island Discs programmes featuring news correspondents.